fashionably petite: FORMULA X for SEPHORA Has Arrived! 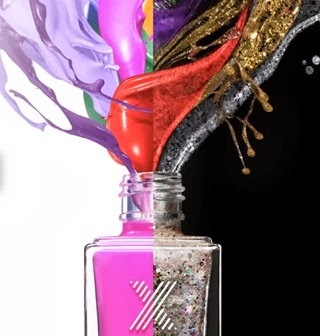 Transform your nails this fall with FORMULA X for SEPHORA, a revolutionary new nail collection that fuses art and science to bring you over 200 bold lacquers, first-to-market effects and nail treatments like luxe textured glitters, shifting metallics, vibrant 3-D effect, and crushed micro-sparkles. Head to Sephora to experiment with the uncompromising collection and be among the first to experience the innovative, new lacquers and learn one-of-a-kind application tips and tricks from Sephora experts, from October 10th - 31st. Visit Sephora.com for your nearest event location and time.